Nope its all driveway action for me. I do plan on creating this as soon as it gets warm out. Its interesting that Injen warned about the turbulence. 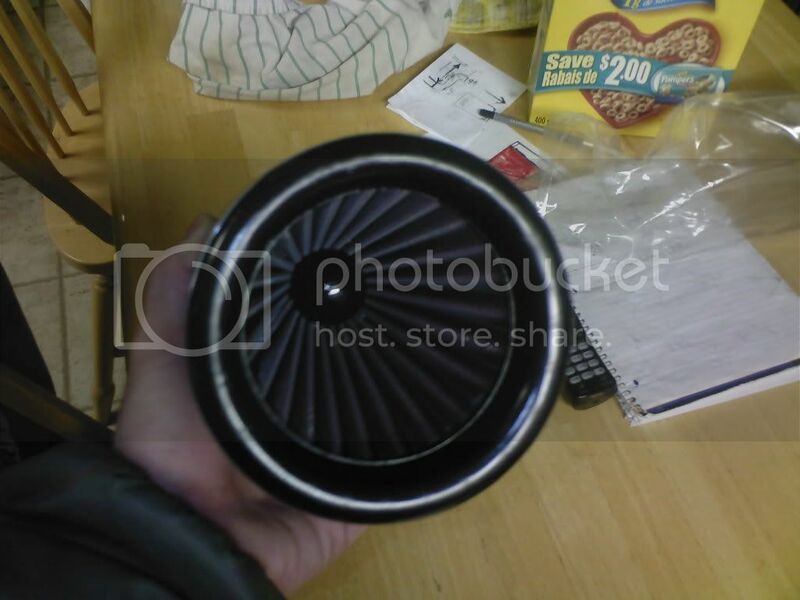 I just ordered a universal heat shield for the intake that I plan on dremeling a hole in to attach the fresh air pipe to. Last edited by curious; 02-18-2012 at 11:39 AM. I plan on using a flex tube so I don't think the air will be very fast causing turbulence. I think it will just act as a way for cool air to get into the engine bay. I plan on using these two products. Maybe a hard pipe would be better and when it comes time I might have a pipe bent to accommodate my project. I guess as long as your not placing it squarely off to one side the the filter cone then it looks like a very efficient way to get cooler outside air up into the SRI filter cone compartment...look forward to hearing how this works out!!! Last edited by curious; 02-18-2012 at 11:20 AM. I think the ultimate would be to have two of the shields and attach the pipe to the front. 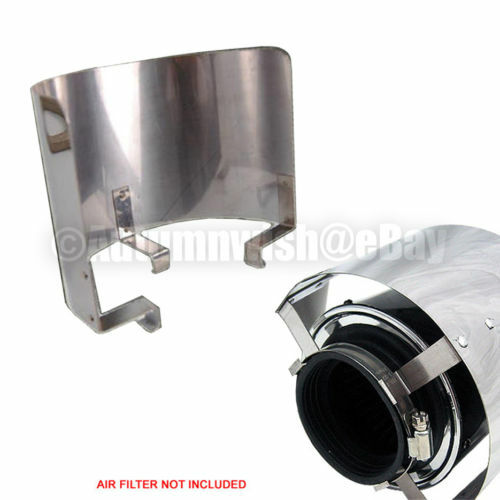 Since the Filter doesn't take in air on the front of the filter (only on the sides) It wouldn't force air into the filter just flood the area with cold air. Although I just might want to use the K.I.S.S. (Keep it simple stupid) principle in this before it gets way to complicated. Here is Weapon-R's product catalog with a bit more info ..
Would be interesting to see some comparative performance data between their intake system design and that of a typical SRI cone filter systems..
Last edited by curious; 02-18-2012 at 04:12 PM. The basic principle behind Weapon R reads: The Weapon R Secret Weapon claims to use Boyle's law and the Bernoulli effect. Boyle's law states that as the velocity of a fluid increases, it's volume increases while it's pressure decreases. Bernoulli's Equation states that a moving fluid has a lower pressure than one that is still or slow moving. So through the smaller pipe we have a high velocity, high volume, low pressure air flow. 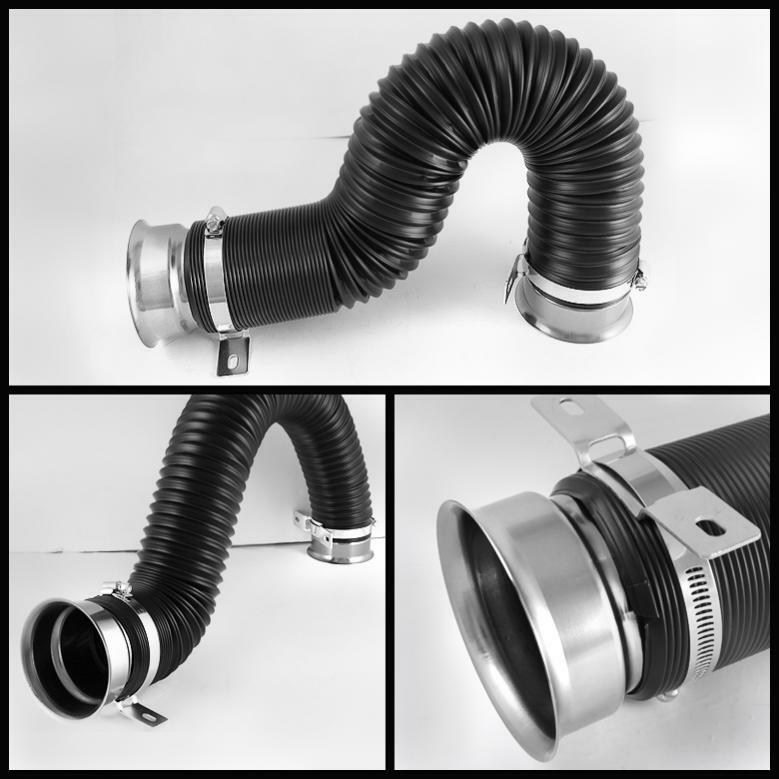 When the two air flows meet at the throttle body end of the pipe, the low pressure area created in the smaller pipe has a pulling or vacuum effect, drawing the laminar flow from the outer pipe. I'm waiting to hear from their customer service department. I suspect if not already in the design stage, they might ask for a test mule from a local owner so I'll wait for their response before putting out the call. Here is an interesting read in the meantime for intake geeks like me. This test reveals observations I alluded to earlier, in that long-tubed CAIs produce lower intake temps at idle but the difference becomes less noticeable at speed and strangely enough, in this case, somewhat parallel results horsepower/torque-wise to the open filter short ram, which the writers found more pleasing to the ear. That's one advantage of short rams...they almost always have a more aggressive tone than long-tubes for obvious reasons (filter placement). The other benefit is better throttle response. This article raises an interesting question however. If for every 10-degrees of intake air temperature difference, one can expect a 1% power loss, where is the Injen CAI finding 6 hp on the dyno over a Juke short ram? That seems illogical because there is absolutely no way the intake air temps for a short ram are going to be 60 degrees higher than a long-tube set up. It's a dated article but an interesting read. Last edited by Use the Force JUKE; 02-18-2012 at 09:29 PM. I do disagree about one point and that is at cruising speeds the temperature differentials seen between the outside air "intaked" though a CAI and the heated engine bay air "intaked" through an SRI can easily exceed a 50-60 degree differential in intaked temps (considering an outside average ambient temp 60-75F)...Although I will admit that at the peak of our summers here in the desert when outside ambient temps during the day can easily exceed 115F than the benefits of a CAI are on probably par with that of an SRI! Regardless...I'm sure any aftermarket intake installed (SRI, CAI, etc) over the Juke's factory stock one will show a big improvement in performance!! Last edited by curious; 02-19-2012 at 01:30 PM. C, did you click on the link provided with the Mazda project, where they showed the difference between the COLD AIR unit and the one with the filter in the engine bay at 70mph was 12-degrees; which is what caused me to doubt there could ever be a 60-degree difference in IAT at cruising speed for our Jukes. It's just not possible with the location of the filter. I think you confused my observation. I was commenting on the difference in IAT between intakes, not the difference in IAT between outside and inside. On a related note, the short-ram filter is somewhat shielded by the battery itself and not really in a terribly bad location from the get-go. I would love to see Injen post the dyno for the short ram kit. I can't seem to locate it. Last edited by curious; 02-19-2012 at 10:40 PM. Want a better filter for your Short Ram/CAI?